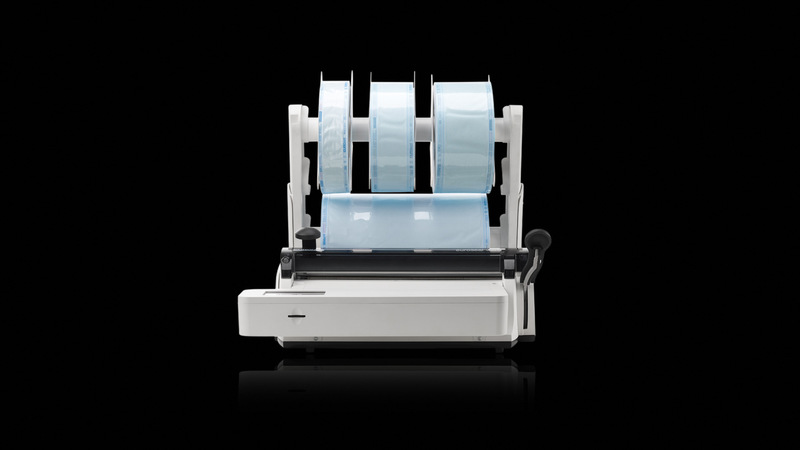 Euroseal® Valida comes with all of the best features of a manual sealing machine: it has an innovative, ergonomic design and it is resistant, safe, versatile thanks to its patented roll holder, and extremely easy to use thanks to the practical support surface and the transparent polycarbonate cover. Euroseal® Valida can validate sealing cycles and save data (including whether they were completed successfully) on a USB key or SD card. Sealing data can be transferred directly to a computer using Ethernet and WiFi connections. 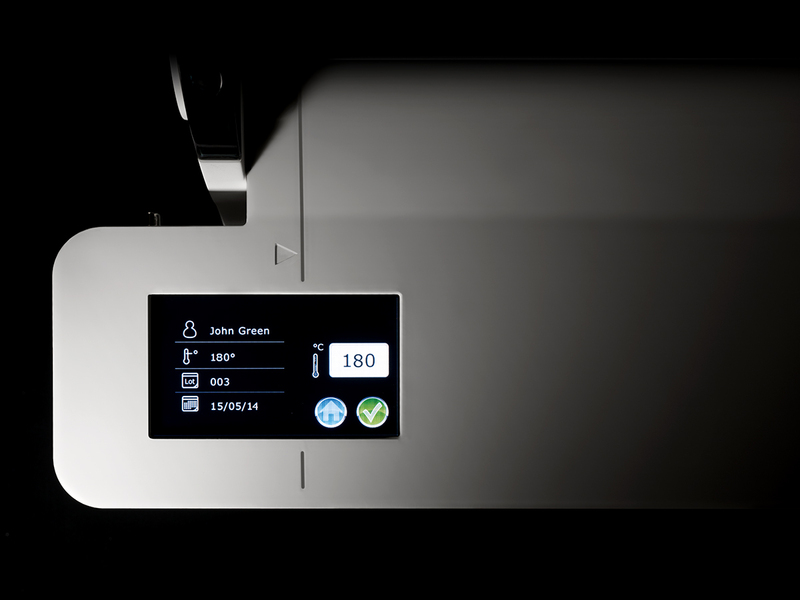 Thanks to the innovative touch-screen display with a user-friendly interface on the support surface, users can quickly and intuitively look through the menu and select one of the preset cycles or a free cycle with their own choice of sealing temperature, allowing them to seal rolls and pouches of all kinds. A stand-by function can be enabled to reduce energy consumption. An optional E-WiFi wireless kit is available on request. In full compliance with UNI EN 868-5 EN ISO 11607-2. In full compliance with UNI EN 868-5 EN ISO 11607-2 and DIN58953-7:2010. Euroseal® Valida’s qualities stand out from the very first glance. Cutting-edge, light materials come together in its innovative, extremely durable design. The support surface is convenient and practical, while the polycarbonate cover allows operators to watch the roll all of the way to the sealing area. The comprehensive array of safety features includes an anti-roll-return blocking system, protection to prevent burning and a set of sound and light warning signals. In addition, the height and depth of the special, patented roll holder can be adjusted and it can also be wall-mounted, in order to optimize the use of space in dental practices. Euroseal® Valida actively helps to make the entire sterilization process safer because it “validates” sealing cycles and works in close coordination with Euronda autoclaves, confirming and enhancing the effectiveness of their work. In addition, Euroseal® Valida stores all of the data about sealing cycles (including whether they were completed successfully) on an SD Card, in accordance with the EN 11607-2 and EN 868-5 standards. It can be hooked up directly to a computer via Ethernet and Wi-Fi connections for instant information transfers. 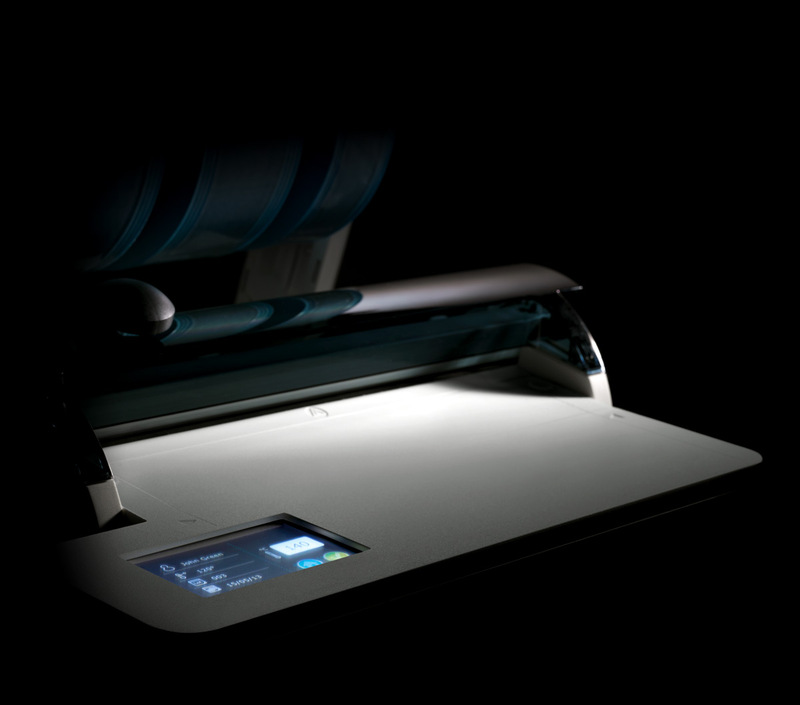 Furthermore, the user-friendly technology behind the innovative touch-screen display with a dedicated menu on the support surface provides users with a simple, intuitive interface and allows them to select one of the preset cycles or a free cycle with their own choice of sealing temperature, enabling them to seal rolls and pouches of all kinds. The sealing data can be transferred directly to a PC via Ethernet and Wi-Fi connections. It validates sealing cycles, confirming that they have been completed successfully and saving the associated data (time, temperature and pressure) on an SD card. 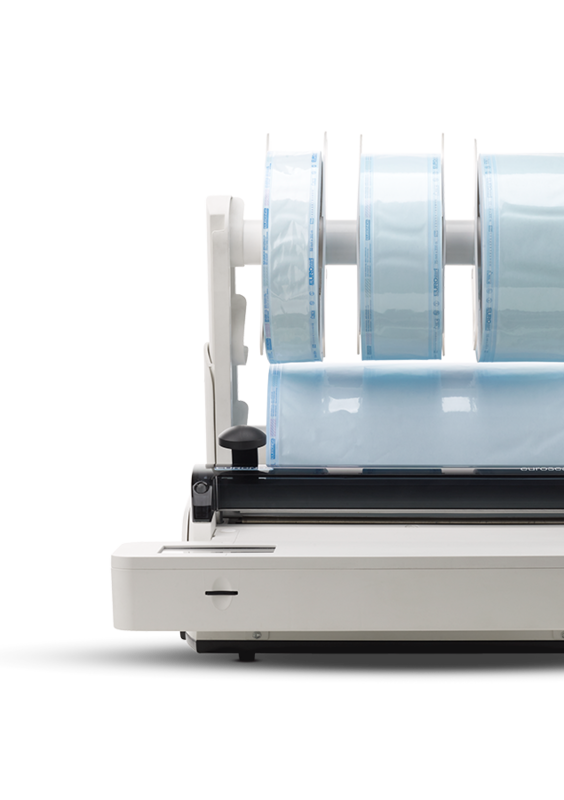 The special patented roll holder can be wall-mounted making the machine extremely versatile and adaptable to the space available. It minimizes the risk of errors and accidents, in full compliance with the EN 17607-2 and EN 868-5 standards. 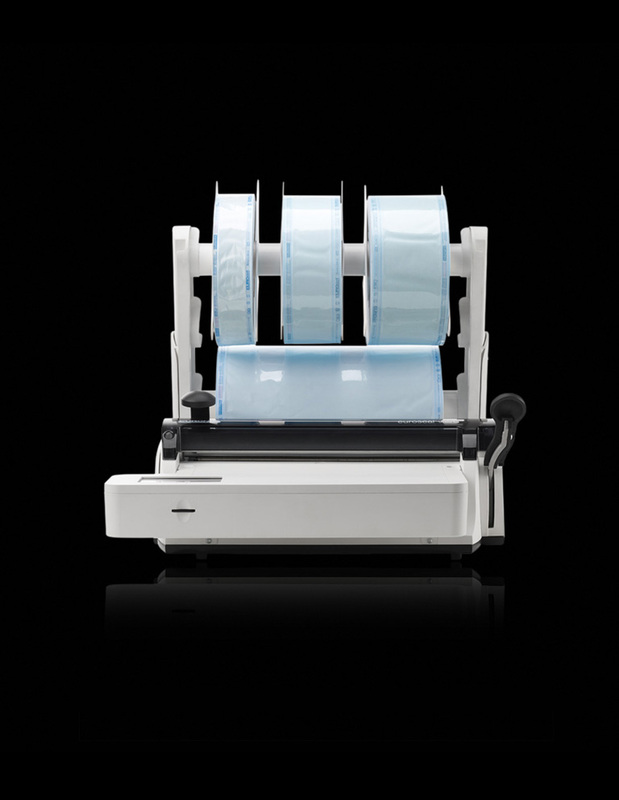 It has a convenient, practical support surface and a polycarbonate cover that allows the roll to be monitored all of the way to the sealing area. User can choose between preset cycles and a free cycle with their choice of temperature. Want more about Euroseal Valida?